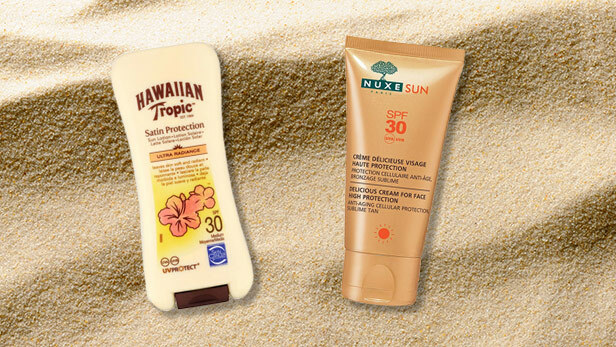 With summer around the corner, you’ll need to start thinking about sun creams. Rather than adding it as an afterthought, skin experts agree that sun creams should be part of your regular skincare routine. In fact, if you want to protect your skin against harmful rays, using a sun cream under your makeup and over your moisturiser is something you can do year-round. Just like a moisturiser, finding the right sun cream for your face comes down to understanding your skin type. Many brands make specific SPF face creams, so you can be sure they’ll give you a non-greasy look and they won’t clog your pores. If your skin is prone to redness and breakouts, you’ll need a gentle SPF cream to protect and nourish without overloading your skin. Perhaps more than most skin types, sensitive skin can benefit from sun creams made specifically for your face. 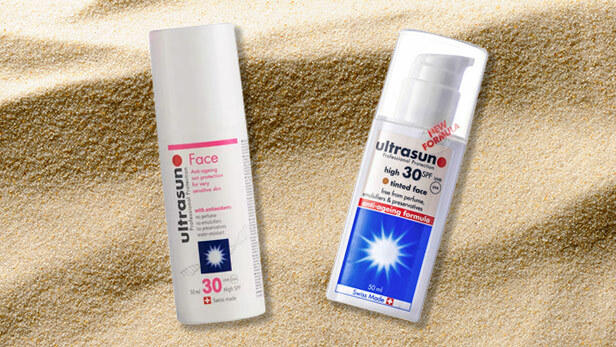 Products like Ultrasun’s Face Anti Ageing Sun Protection Sensitive SPF30 combines UVA and UVB protection with antioxidants, while effectively rebalancing moisture levels and reducing wrinkles. And for a bit of a colour lift, try their Tinted Anti Aging Formula SPF 30 Face for a healthy glow. Getting an SPF cream that works in tandem with your moisturiser is the key to making your face sun cream work hardest. If you’re prone to drier skin, look for products that give you a moisture boost without clogging your pores. Hawaiian Tropic Silk Hydration Face Lotion SPF30 blends nourishing antioxidants with moisturising agents and sun protection. 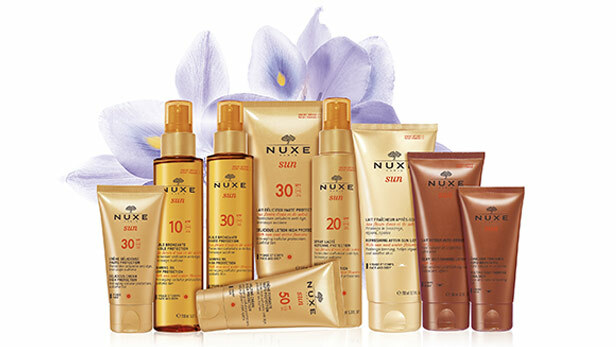 And NUXE’s Sun Delicious Cream For Face SPF30 is a non-greasy, moisture boosting cream with a gorgeous summer scent. 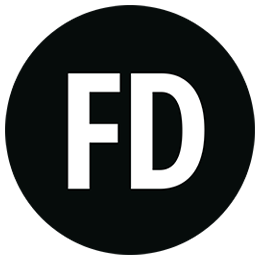 If you’d prefer something that feels completely weightless on your skin, opt for a lighter SPF fluid or cream for the face. 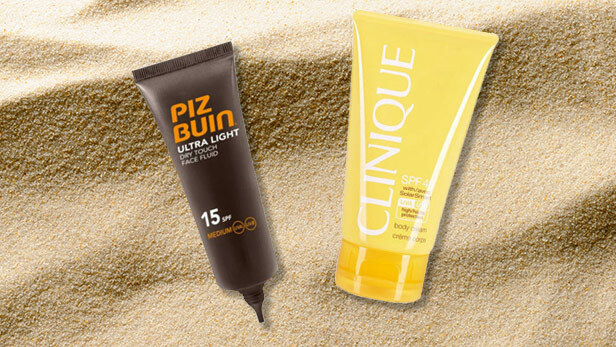 Something like Piz Buin’s lovely Ultra Light Face Fluid SPF15 absorbs instantly into the skin, without leaving any greasy residue. For a cream that’s light enough for your face and perfect for your body too, bag something that does both jobs. The big benefit of creams like this is that you can slather it over your face, neck, shoulders, and any other exposed bits without buying two separate lotions. Clinique’s Solar Smart SPF15 Face & Body Cream is just one option, with its oil free, anti-aging formula. For skin that burns easily, always go for the higher factors. It really will pay off in terms of protecting your skin from harmful UVA and UVB rays, and it will fight against the aging effects of the sun. 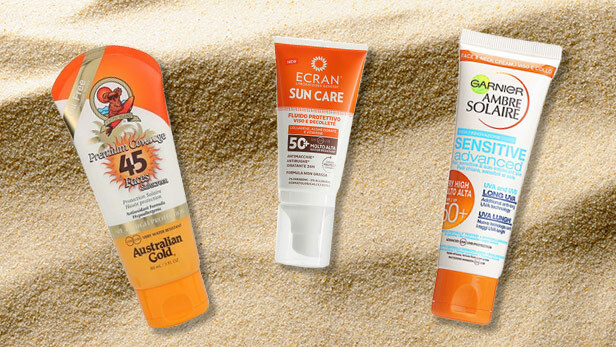 Australian Gold Premium Coverage Face Sunscreen SPF45, Ecran Protective Fluid For Face & Neck SPF50+, and Garnier Ambre Solaire Sensitive Advanced Neck & Face SPF50 all have high factors, and are gentle and nourishing enough to be used on your face.